Hannah Leigh is a teenage girl with Autism that loves fashion. For many years Hannah would go to the New Jersey shore and be in awe of the heat transfer machines used to create t-shirts. 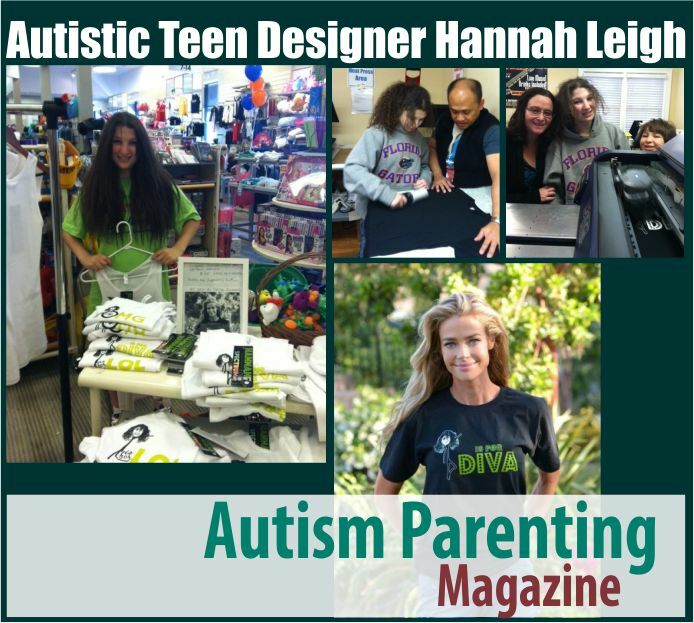 Using her creative talents she partnered with Spectrum Designs a business in Port Washington, NY that employs autistic teens and adults. Soon the A-Z series of shirts was created by Hannah, charactering her zany curly hair coupled along with her love of the alphabet. There are many designs including D is for Diva, O is for OMG and L is for LOL. 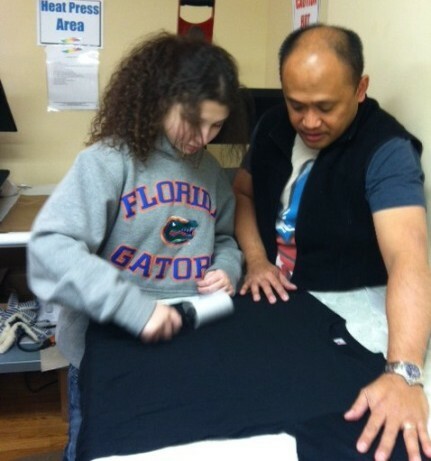 Each Spectrum Designs product is produced by Hannah and other individuals with Autism and related conditions. Employees are engaged in all phases of production and learning a trade. 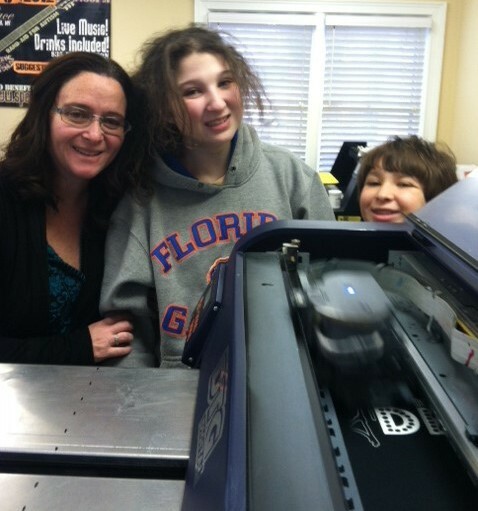 Hannah has used the crowdfunding website GoFundMe.com to raise funds for materials to produce her shirts, as well as, to pay for marketing, for job coaches and to pay the individuals with Autism a small stipend to produce them. Through GoFundMe, she hopes to reach her goal of $5000 so that she can increase production for the fall’s latest new styles and continue to help employ individuals with Autism. Hannah’s creations are sold on the website http://spectrumdesigns.org/shop_now_2.html and in local retail stores. Her story has been written up in several local newspapers and has been endorsed by celebrities including Melissa Gorba of Housewives of NJ and Denise Richards who support Hannah and others with Autism. Check out Hannah’s awesome T-shirt creations and more great products at http://spectrumdesigns.org. Also, please help support Hannah and employ autistic adults by donating at http://www.gofundme.com/1r8u6c. Well Done Hannah! and keep up the great work Spectrum Designs! Absolutely fabulous. God is wonderful. More grease to your elbow, Hannah. Thank you Hannah, for giving me, a parent of a child with autism, the continued faith that my son Pedro can achieve anything he wants to. Guam does not have any autism programs to date, I would love to have someone get hold of me via email….mcruzrmj@yahoo.com if you have any information to help me get a program started for our children in need. What an awesome story. Thanks for sharing. It goes to show that there is hope for children with Autism. You are all so bright and talented…we just need to try to understand more about our children, then we would be more patient and kind. Keep up the good work Hannah!! This will certainly take you places. Best wishes.